Are Jews still “the people of the book”? Are Israelis? In the third episode of Israel Story, we’ve got three stories that all revolve around people who rescue books, chase after books, or otherwise allow books to determine their destiny—from a Yiddish book collector based in the Tel Aviv central bus station to a lonely college student to bibliophiles in search of the lost fragments of the Aleppo Codex. 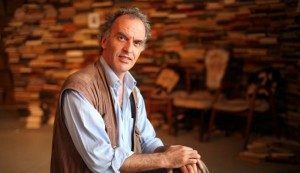 First, a chat with Israeli writer Etgar Keret, who has some original thoughts on where the “people of the book” tagline came from. For years now we’ve been hearing the story of the revival of Yiddish. About it kind of finding this cool, almost-hipster, new life aside from being just the lingua franca of the Hassidic world. This is not that story. In America, sure: you’ve got Yiddish summer camps, Yiddish literature departments, Yiddish festivals, Yiddish punk bands, Yiddish podcasts, best selling Yiddish phrase books, even Yiddish organic farms. In Israel the situation is quite different. Step out of Bnei Brak or Me’a Shearim, and you’re basically as likely to hear Yiddish as you are to hear… I don’t know, Urdu. I mean everyone knows oy vey zmir, a groise metziya and a few other phrases their grandparents used to say. But there’s almost nothing hip about Yiddish here. Or at least that was the case, till this one, rather unusual man, appeared on the scene. Danna Harman went to meet him in the magical Yiddish center he built in the most unlikely of places. About half an hour southeast of Be’er Sheva, basically in the middle of nowhere, there’s a small town called Dimona. Around the world it’s best known for what Israel denies is there – our national nuclear plant. And honestly, that’s more or less what it is for most Israelis too: A quick pit stop on the way to Eilat. You get out of the car, refuel, go to the bathroom, crack a lame joke about radiation, and keep on driving into the desert. Dimona was originally built in the 50’s as a dumping ground for waves of immigrants from North Africa. It’s a very well known saga, but the leaders of מפא״י, the ruling labor party, essentially tricked these new immigrants into believing that they were being housed in a central location, with lush surrounding. That it was a ten minute bus ride from Haifa and the beach. But reality was bleak: Poverty, unemployment, crazy heat, and nothing but sand and sand and sand. Almost all the people still around from that generation are bitter. Whoever could, left. 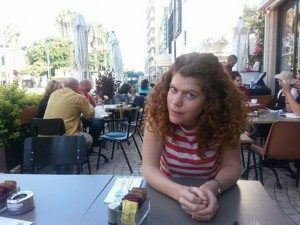 But for Chaya Gilboa, a thirty-one year old with a huge mane of flaming red curls, Dimona is something completely different. It’s where she first encountered the book which – she believed – would change her life – the ‘Book of the Yellow Pears,’ by a relatively forgotten author, Pinchas Sadeh. Dana Ruttenberg reads this story. 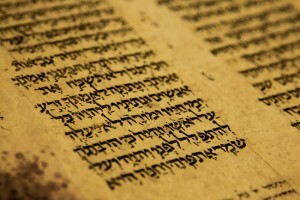 There’s one book, an ancient one, more than a thousand years old, which stands at the center of one of the most fascinating mysteries in Jewish history. Over the centuries, this book was concealed, venerated, pillaged, salvaged, smuggled, made to disappear, and miraculously appear once more. That book is the Aleppo Codex. Today, part of it is displayed as a national treasure in Jerusalem, and part of it is a kind of Holy Grail sought worldwide by professors, rabbis, spies and collectors. Together, these people, enthralled by the magic of this codex and its story, make up a sort of underground society. For them, this book is much more than just a book. Matti Friedman encountered them completely by chance.